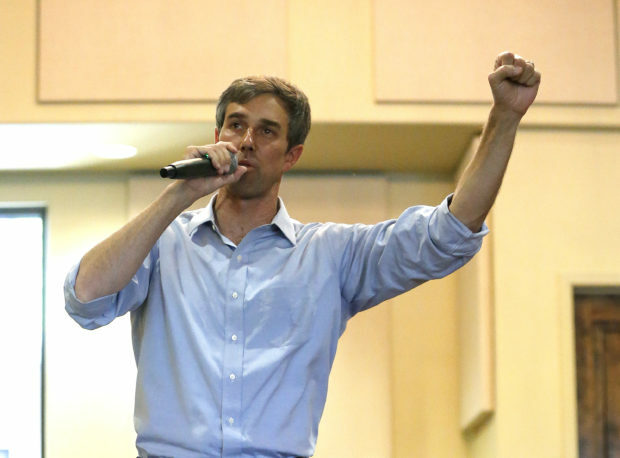 Texas Democratic Senate candidate Beto O’Rourke claimed that President Donald Trump is inciting violence when he labels the press “the enemy of the people” during an interview with MSNBC’s Chris Matthews. The interview, which took place at the University of Houston on Tuesday night, also included a question and answer portion for members of the audience. “I’m wondering, given the anti-media, anti-free press rhetoric that is so prevalent right now, what would you as U.S. Senator do to ensure that the press is protected, journalists are protected and that they can continue to serve as watchdogs for democracy?” Summer Harlow, an assistant professor asked. “This idea fronted by the president that somehow the press are the enemy of the people reinforced by him tweeting out images of a reporter being hit by a train, body-slammed in a wrestling ring is incitement to violence. I don’t know any other way to call it. That undermines an essential pillar of the American democracy,” O’Rourke responded. O’Rourke is trailing his opponent Sen. Ted Cruz by 6 points, according to a University of Texas/Texas Tribune poll of likely voters released last Friday.